I have been spending the last few weeks pushing myself to the limits, physically, mentally, and emotionally. I wrapped up in Charleston with an amazing 60+ hours with no sleep, piled on top of that was the call from my sister regarding moms ICU visit. Stress? What stress? Pffttt. No problem, I wrapped my production up and headed to NY. Spent some days in ICU with mom and helped her as she got healthier and back to normal and now she is back at home. As an added bonus, my presence helped my sisters constitution tremendously and for the time being staved off a nervous breakdown (Real Good). On my non hospital time I was cutting away at the video I was producing for my friends at Excelsior Brewing Company. Push it? Yup! Never thought after pitching the concept to him beforehand that I would be met with such reservations in post-production. Unbeknownst to me the entire craft brew scene has extremely not-so-crafty views on how to promote their products, apparently there is some unwritten rule that you cant have a beautiful girl in your ad. I guess you will offend the .05% of your market, I’m at a total loss for words here. And oddly, I like them both, but they would be totally rogue efforts on my part and I dont want to burn the bridge with the client. Maybe I can "leak" the un-sensored one! I like the boys at Excelsior Brewing Company, and hopefully we can break down the walls and push the envelope a bit and make to cool creative ads for their excellent brews. Now that I have thrown up my hands in frustration about that promotion, I have pushed on to the New Youth Brigade project. I wrote about it awhile back and am finally able to dedicate some time to it. 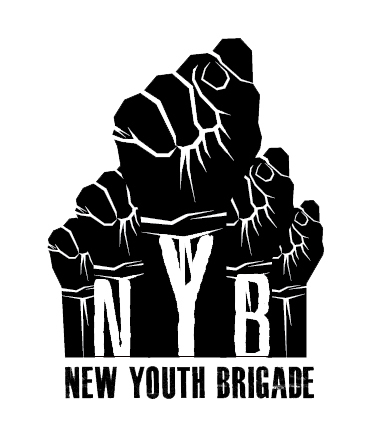 New Youth Brigade is a documentary film project that I am very excited about. 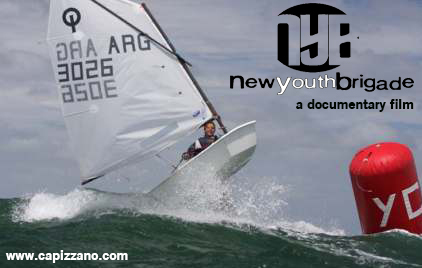 NYB is an in-depth look into youth/junior sailing programs, their past, present and future. I am now cutting a trailer together, doing research and budgeting for the film. To fund this project I plan on utilizing a Kickstarter campaign as well as seeking corporate sponsors within the sailing community. I am totally stoked about the youth sailing gear line associated with the film. The line will be primarily used as the films promotional vehicle but I think its going to become much bigger than that…if you have kids that sail please get in touch with me. I want to hear what they think is cool and what they want to be wearing on the starting line. I will be partnering with the good folks at Line Honors to get these kids rocking some cool kit. Recent feedback from my initial market research has revealed one very important detail; I am not that crusty and out of touch, the designs I like are also the ones they like! WOOT! Although I am not sure if that implies that I am totally immature or just have a youthful exuberance, but I'm gonna roll with it eitherway. WOOT WOOT! Stay tuned for more about the NYB project! Thank You Salt, Thank You Pep.